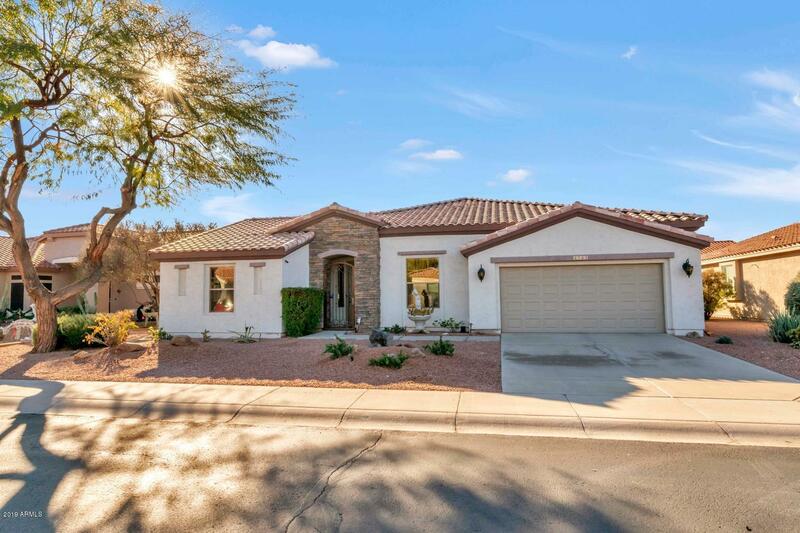 All TRILOGY UNIT 4 homes currently listed for sale in Gilbert as of 04/19/2019 are shown below. You can change the search criteria at any time by pressing the 'Change Search' button below. "You are going to love this Cimarron Model in Trilogy Active Adult Golf community. Beautiful kitchen with granite countertops. 2 master suites + a 3rd BR with direct 3rd bath access. Tile everywhere, except the bedrooms. Upgraded tiled showers in both bathrooms. Maintenance free backyard with turf area. The home is an entertainers dream with side shaded courtyard off the kitchen area with a fireplace.The solar system is owned and was $30,000. Check out MYTPR.com for info on all the community amen"